Welcome to Beth El Sisterhood! We are a vital and active group within the Congregation that enhances the lives of our members with programs and activities that provide meaning and enjoyment. Sisterhood provides an opportunity to meet other interesting women and make a difference in the synagogue. Some past programs have included, the Paid Up Membership Tea; Winter Coat Drive for the Interfaith Food Pantry; and the annual Women’s Seder. For the Jewish New Year, Sisterhood sponsors a Honey fundraiser. For each donation a special package of Apples and Honey is sent to the recipient with a New Year's wish. During Purim we make and distribute over 400 Mishloach Manot Baskets to our congregants and their friends and family. Participation in the Women’s League Torah Fund Campaign is an annual fundraiser that helps the future of Conservative Judaism by supporting institutions that educate our rabbis, cantors, educators, and lay leaders. You can now give to Torah Fund online by clicking www.jtsa.edu/giving. Then click on the Torah Fund Campaign link and follow the instructions. Beth El's Sisterhood will get credit for any online contributions made by our members. The Torah Fund Cocktail Party is held on a Saturday evening in the fall. It is a great social event while supporting JTS. Each year Sisterhood honors someone special who has played a significant role in Beth El's Sisterhood. The Sisterhood Gift Shop assists our congregants in purchases of Kippot and Talitot for their B’nai Mitzvot, gifts for family & friends, holiday necessities such as Hanukkah candles, Seder plates, etc. Many of our items are Israeli-made so your purchases help Israel as well as Sisterhood. The Gift Shop is open whenever the synagogue office is open or by appointment. Check out our new showcase in the new lobby and let us assist you with all your Jewish gift needs. Contact the synagogue at 973-763-0111 or at giftshop@bethelnj.org to purchase something. Find us on Facebook to see up-to-date information about all of our programs and events. 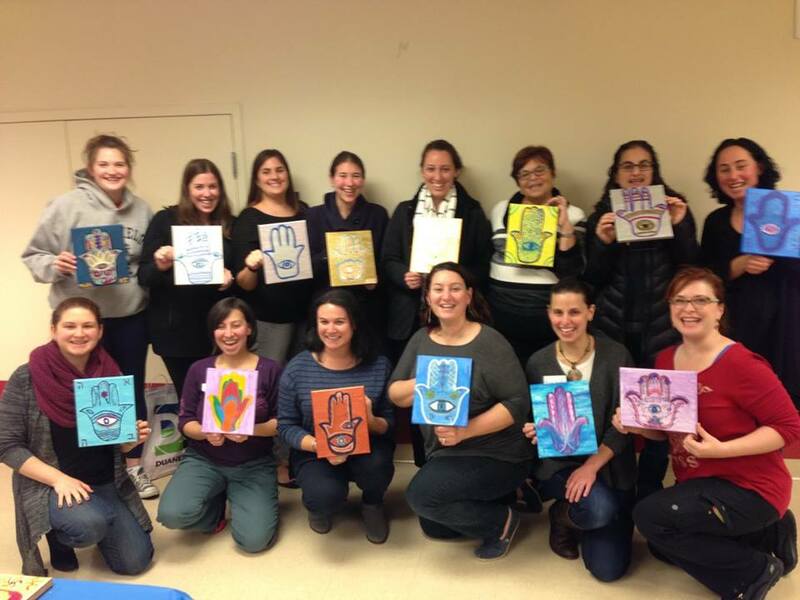 Sisterhood organizes and leads Shabbat services once each year. From Shacharit to Torah readings, from Haftarah to Divrei Torah we do it all. This year's service was in January, followed by an amazing Kiddush cooked by our own congregants! We will held the second annual Women’s Seder in March. It is a spiritual journey into the meaning of Passover and an opportunity to celebrate with other women. We are known as Beth El's angels. Thanks to the generous support of the congregation during our fundraisers and programs, we have donated the funds to purchase new cooking utensils for our newly renovated kitchen, dishware for Shabbat and event dinners; to repair the Sanctuary roof; to hire a professional cleaning service for the kitchen, and to refurbish the office entry area with new wallpaper and moldings...just to name a few. Sisterhood's Flower Project enables the beautiful Bimah flowers to be put into individual bouquets. 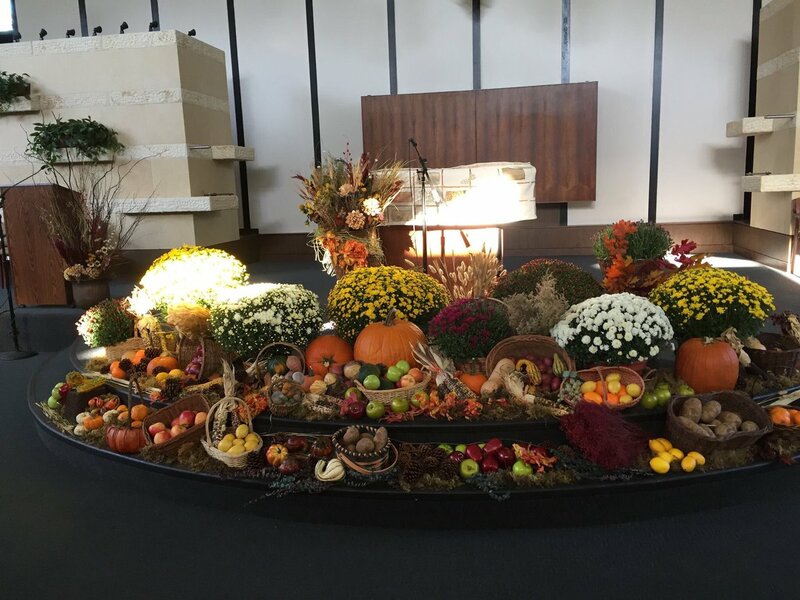 Sisterhood delivers a little cheer to our congregants, clergy and staff to honor them on special occasions or comfort in times of illness or mourning. Sisterhood Winter Coat Drive was a huge success! Start saving now for next year. All clean coats accepted, but large-sized men's and women's are especially needed. It’s never too late to join Sisterhood, support our programs and become involved with this wonderful group of women!